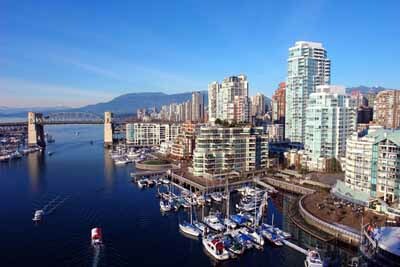 Vancouver often tops the 'liveability' index but is it really an archetype for future working life? Next month (June), “Monocle” magazine, the glossy chronicler of culture and design, will publish its latest annual “liveability index”. Ranking the world’s cities in this way has become a rather popular activity in recent years. Similar lists are produced by the management consultancy Mercer, the Economist Intelligence Unit and others. Largely, though, they cater for corporations looking to decide what they should pay in living and other allowances to personnel located around the world. As such, they tend to favour smaller cities that suit families. For example, the latest EIU list is topped by the same 10 cities as took the top spots the previous year (albeit with a couple of place swaps) and seven of the 10 are in Canada and Australia, countries where – as the report points out – population densities are well below those in much of the United States and Europe. This is all fine and understandable – to a degree. But as Edwin Heathcote, the “Financial Times” architecture correspondent, pointed out in a recent article, having proximity to the great outdoors, efficient transport systems and a substantial number of coffee shops does not necessarily add up to a city that actually draws in the innovative and creative people who can make a place so vibrant and an attractive tourist attraction. Offer a couple of teenagers the option of a weekend in Munich or Vancouver (traditional stars of liveability lists) over Los Angeles or New York and see what kind of reaction you get. Indeed, this favouring of these smaller-scale cities over the great metropolises is made all the harder to understand when set against the apparent resurgent interest in cities. For all the continuing popularity of the suburbs and comfortable towns within commuting distance of the likes of New York and London for families looking for somewhere safe, convenient and offering easy access to the countryside, many cities are successfully reinventing themselves. Not least because of the growing belief in these environmentally-conscious times that city life – with its plentiful public transport, encouragement of cycling and denser housing – is in many ways “greener” than that in villages and small towns. Add to this the dynamism and excitement that results from having lots of people from different cultures and backgrounds thrown together and the attractions become clearer. Even the traditional balancing factors of high crime rates and poor transport are in many cases – such as New York and London – less of an issue than they were thanks to strong civic leadership and, it has to be said, the drive of citizens determined to improve their surroundings in ways that are not always apparent out of town. Although Landry and his Comedia organisation have done extensive work around the world – in places as diverse as Glasgow and Bilbao – on helping cities make themselves more creative, it is clear that a lot of the things that make places attractive to the people that give a city its vibrancy and cultural strength cannot easily be planned. Cities such as New York and London probably do not conform to urban planners’ ideals, but they have over centuries been consistently attractive to people seeking opportunity, at least in part because they are often the first port of call for those coming from elsewhere. The strength of transport links remains an important factor in the success or otherwise of cities. Accept now there is a debate about which form of transport is key. New York and London, of course, received their original start through being seaports and later became rail termini and built airports, which incidentally – and not coincidentally – are among the most congested in the world. John Kasarda, director of the institute of private enterprise at the University of North Carolina’s Kenan-Flagler Business School, has recently proposed the notion of the city built around an airport in the book “Aerotropolis: The Way We’ll Live Next”, while “Monocle” editor-in-chief Tyler Brule in the latest issue of the magazine opts for focusing on rail stations. 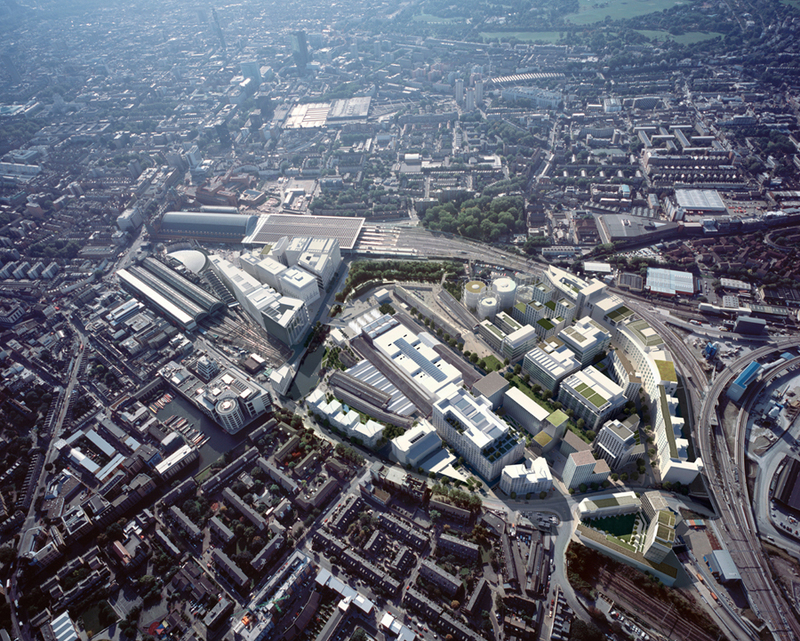 Certainly, the improvement in the general feel of the area around London’s Kings Cross and St Pancras as a result of the arrival of the Eurostar and associated developments lends some support to the idea. But perhaps such developments are merely evidence of a city feeling confident. London has on its South Bank an area just as vibrant as that around Kings Cross. This, too, was grey and uninviting until recently and the opening of the Eye, restaurants and other attractions around there has – along with the smartening up of the city’s river frontage generally – contributed to a much more inviting atmosphere. Such places are merely outward signs of success elsewhere. What enables such developments is the city’s enduring strengths in such diverse fields as finance, fashion and computer graphics – all of which draw in new talent both from within the country and from around the world. It is this group of people described by Richard Florida, professor of business and creativity at Toronto University’s Rotman School of Management, in his book “The Rise of the Creative Class” who are able to choose where to work and – through their influence as innovators – can make or break a city. Even cities that were previously in dire straits as a result of the collapse of the old industries on which they were built can be rejuvenated if they make themselves attractive to such people. In the United States, the former industrial city of Pittsburgh which now features on liveable cities lists, is one example. In the United Kingdom, Manchester and its rebirth as a media centre is another. Indeed, Florida in recent advice to new graduates looking for where to go for work were advised to head to Washington DC, until recently seen as that rare combination of a boring small city plagued by a high murder rate. Not only are there government jobs aplenty, but the city is also home to various think-tanks and NGOs as well as corporations, and so is just the place to make the connections needed to succeed in the current fast-moving workplace. This is perhaps the most telling point about cities. Even in this age of technology – where people can collaborate with people they barely know on the other side of the globe thanks to the internet – success depends, as Harvard economics professor Edward Glaeser points out in his book “The Triumph of the City”, on communities of individuals being in close physical proximity. Hence all the attention paid to encouraging clusters, whether they are in high-tech, as is the intention in the area around Hackney in east London, or anything else. Glaeser and others have plenty of evidence suggesting that future economic growth is dependent upon the ideas and initiatives originating in cities.